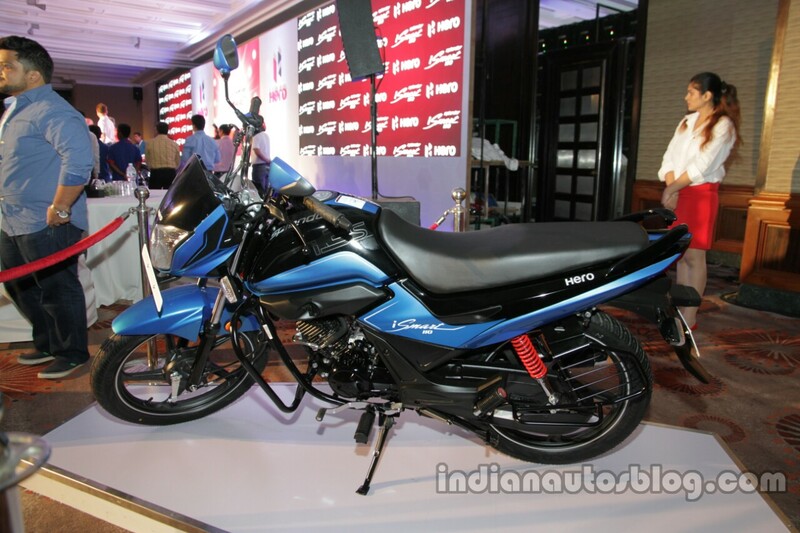 Seen here are images of the Hero Splendor iSmart 110 which was launched today as the first product to have been developed completely by the company. The Splendor iSmart 110 is priced as follows: New Delhi - INR 53,300, Mumbai - INR 53,100, Bangalore - INR 53,800, Chennai - INR 53,700, Kolkata - INR 54,200, Pune - INR 53,100, Hyderabad - INR 54,100. 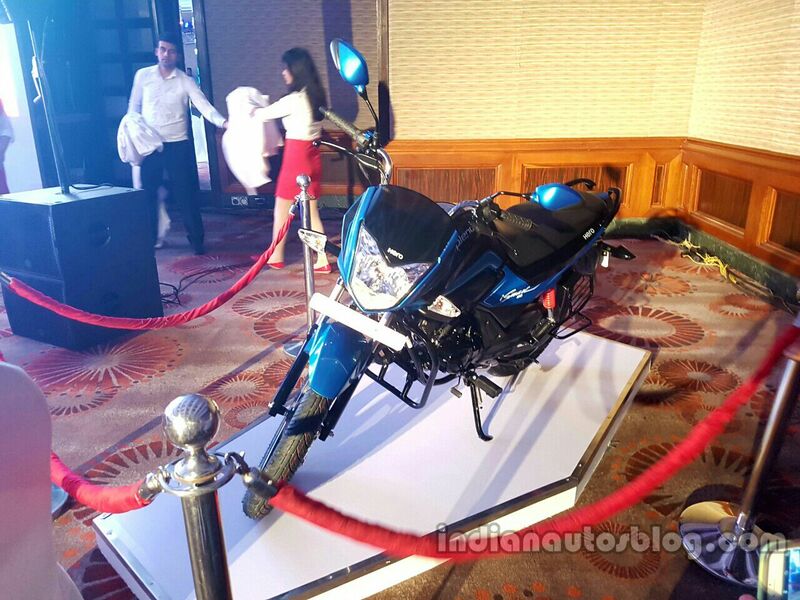 The Hero Splendor iSmart 110 is powered by a 110cc TOD engine. Note: All prices are ex-Showroom. The Hero Splendor iSmart 110 is based on a completely new chassis and frame and is powered by an all-new BS-IV compliant 110 cc TOD (torque-on-demand) air-cooled, single-cylinder engine capable of 9.4 PS at 7,500 rpm and 9 Nm of torque at 5,500 rpm. It is paired to a 4-speed gearbox and gets Hero's i3S (Idle-stop-start) system to deliver "best-in-class" fuel efficiency. The i3S automatically cuts off the engine when the bike is stationary and restarts the engine once the clutch is depressed. Hero claims the Splendor iSmart 110 can accelerate from 0-60 km/h in 7.45 seconds. The Splendor iSmart 110 gets an i3S auto start-stop system. Characteristic features of the Hero Splendor iSmart 110 include automatic headlight ON, 'longest seat in the class', service due indicator and choice of four colors - Silver and Black, Red and Black, Blue and Black and Red.